Brahmananda Swami Sivayogi profile and biography is given here. Brahmananda Swami Sivayogi was a social and religious reformer from Kerala. Throughout his life, he spoke against the superstitions in different religions. He told his disciples to come out of these superstitions to enjoy the true essence of religion. He asked his followers to objectively analyze things in correct perspective. Please read about this great social reformer who had brought some landmark changes in the society. Brahmananda Swami Sivayogi was a seer and a social reformer from the state of Kerala. He was instrumental in the establishment of Ananda Maha Sabha and Anandamatham. Right from the childhood, he was an atheist. Hence, he denounced idol worships and all forms of religions. According to him, the ultimate aim of the activities of all human beings should be to get the Ultimate Bliss or Paramanandam. The movement he spearheaded during the Kerala Renaissance period is considered as the golden period in Kerala history. His original name was Govindan Kutty. 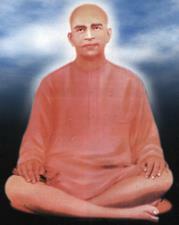 Brahmananda Swami Sivayogi was born as Govindan Kutty on August 26, 1852. He was born into an aristocratic Nair family. His parents were Nani Amma of Karat Nair family and Kunjikrishna Menon of Vellengi Ravanyaram. His birthplace was Nenmara in the Palaghat district of Kerala. As per the custom that was prevalent in the state, Govindan Kutty was staying with his mother Nani Amma and his father used to make occasional visits to him. In the formative years of his life, he was brought up in the orthodox way. In the early morning, he used to take the bath and visit the worship chamber in the house for prayers. As a child, Govindan Kutty was totally ignorant about the activities undertaken by him at his home. He was merely following the instructions given by the elders in the family. As a child, Govindan Kutty was watching the customs and rituals with disbelief. Inquisitive mind in him could not comprehend the irrational behavior of the society around him. He asked himself how people get segregated along the lines of caste and color when they are made of the same blood, bone and flesh. This fundamental question was troubling his mind. He started to think about the rationality of these customs. After thinking about this over a period of time, he realized that there was no rationality behind the observance of such customs and rituals. This realization was the starting point of the rationalist in him. Govindan Kutty was initiated into the world of letters by a home tutor. After learning the alphabets of languages, he was sent to a nearby primary school to provide quality education to him. When he passed the primary school, he was sent to Padmanabha Sastri to learn basics of the Sanskrit language. During this period, Govindan Kutty started to write simple and meaningful poems in Sanskrit language. Due to this ability, he became an instant hit amongst the fellow students. Under the same guru, he learned Sanskrit Kavyas. In light of the knowledge gained, young Govindan Kutty started questioning the logic of each and everything around him. By constantly assimilating information various sources, he also became well-versed in Hindu scriptures and Tamil language. After having learned about the brilliance of Govindan Kutty, his father sent him to Ernakulam for giving the high school education in English medium. This decision by his father was a turning point in his life. By interacting with various people there, he became acquainted with other religions as well. This forced him to objectively compare the tenets of Hinduism with those of other languages. After learning the basics of the English language, Govindan Kutty decided to stop learning that language and concentrated on the subject of Philosophy. Soon he found himself amongst the fat books of the Vedas, Puranas, Upanishads, Smritis, Sutras, Gita, etc. Due to this move, he soon found the answers he was looking for. To his astonishment, he learned that the concept of God is non-qualitative and the idol worship was not solicited. After gaining appropriate knowledge in Sanskrit language, Govindan Kutty decided to disseminate that knowledge gained to young men in his locality. In this role, he continued for a while. Later, he joined in a Kozhikode-based Native School as a Sanskrit teacher. While working in Kozhikode, he could interact with learned persons who had similar views. During this period, a branch of Brahma Samaj was established in Kozhikode. The learned members of the Samaj gave him the title of Brahmananda Swami after they learned about his stack of knowledge in Philosophy, Logics and Sanskrit language. In the premises of this organization, Govindan Kutty began to practice Rajayoga. After getting the title of Brahmanda Swami, Govindan Kutty decided to renounce the worldly life. For this purpose, he sought the permission of his better half. After getting the permission from his spouse, he took the Brahmacharyam vow and moved to his hometown. At his hometown, he took up the job of a Sanskrit teacher in the Alathur Board School. In that school, he was known as Brahmananda Swami. Due to his free thinking, he got a long list of disciples. In order to teach his disciples, he opened an ashram at Vanoor in the Palaghat district of Kerala. He named his ashram as Venoor Sidhasramam. In his ashramam, he spoke against the practice of animal sacrifices. The orthodox people in the society dubbed him as a rationalist whereas the learned people regarded him as a revolutionary. In truth, he was neither. Instead, he was a free thinking scientist who was searching for the truth. As his popularity grew, Govindan Kutty decided to shift his ashram to Alathur in the same district. Due to this, people began to visit his ashramam in large numbers. For the benefit of the people visiting the ashramam, he began to give discourses on various religious topics and the truths he found about them. After hearing the discourses, the people began to recognize the difference between the religion taught by him and that taught by the priest. When the people started to learn more about the truth in the religion, they began to appreciate the works of this great saint. Due to this, Govindan Kutty's popularity increased and more people from different parts of the state started to visit him. They left the ashramam premises happily after getting enlightened about the nature of the true religion. Through his contact classes at the ashramam, Govindan Kutty wanted to tell his disciples that the mind controls every aspect of a person's life. Without its control, a person's life would become miserable. In the year 1905, he stopped teaching his disciples and devoted his full time for the cause of Rajayoga. In connection with the popularization of his thoughts, Govindan Kutty gave his first speech in Kozhikode in 1910 and the second one at Guruvayoor in 1912. Both the speeches attracted the attention of learned persons and drew the flak from the orthodox members of the society. Despite the protests from a section of the society, he repeatedly told the people that all the religions need to be rebuilt in a scientific way. He also advised the women to equip themselves through education and fight against the odds that discriminate them. Govindan Kutty explained his ideas with the help of suitable examples and proofs in his books, speeches, meetings, letters and advices. His literary career spanned a period of 35 years. During this period, he wrote 13 books and all these books were having good and meaningful contents. His masterpiece was Mokshapradeepam. This work was a huge hit in the market. Due to huge demand, thousands of copies of Mokshapradeepam were sold in different parts of Kerala. Some of his works were translated to English and Hindi languages to cater to the demand from North India and abroad. Brahmananda Swami Sivayogi was a saint, a social reformer and a rationalist from Kerala. He studied Logics and Philosophy to compare the tenets of different religions to find the eternal truth. After having found the truth, he started to disseminate it through religious discourses, seminars, letters and books. Through his words of wisdom, Govindan Kutty enlightened his disciples with the ultimate truth in the world. He called this truth as Eternal Bliss or Paramanandam. He advised the women to educate themselves to fight against the society that discriminated against them. He also spoke against the animal sacrifices and regarded these practices as inhuman.